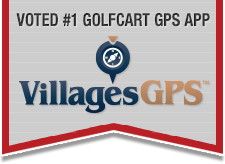 Would like to see some comments about how using Golf Buddies on The Villages executive golf courses improves your game. Humor is encouraged if appropriate. My golf buddies make all kinds of suggestions. Based upon the results, they are all idiots! To my experience, only on the par 4s. The yardages on the tee are pretty close and to be honest, not sure yardage is even relevant to the way I play on some days.